So who are these Scandinavians that occupy 20% of my DNA? The Eliassen family. 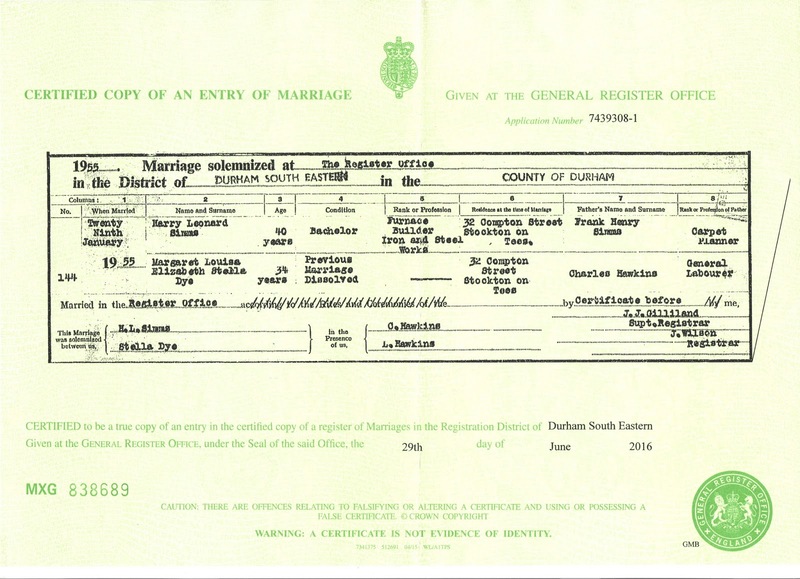 My great grandmother Matilda was born in 1884 in Hull to Elias Eliassen & Matilde Knudson. My great great grandfather Elias his profession was listed as merchant seaman. 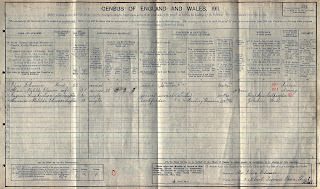 This is also confirmed by the Hull 1891 census where Elias is listed as a head of his household, occupation 'Sailor'. At this stage it lists two children with Matilde Eliassen namely Magdalene age 10 & Odin age 4. 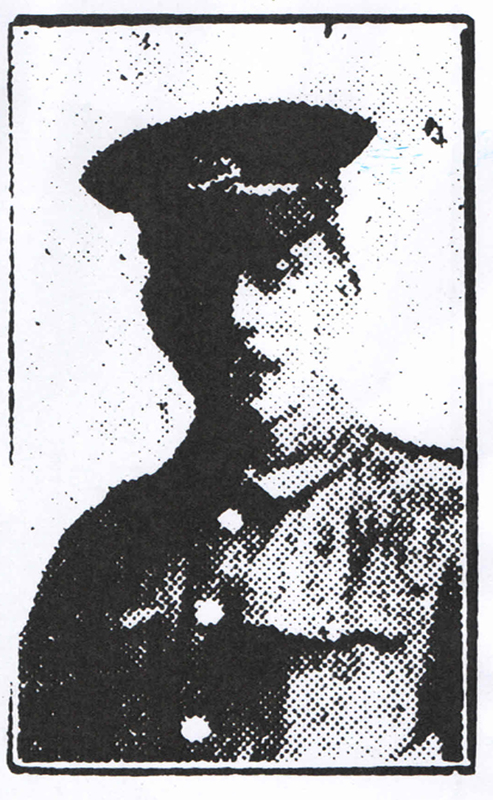 Here is a photo of their son Odin, he served with the West Yorkshire Regiment and died at the battle of Loos, France 1915. 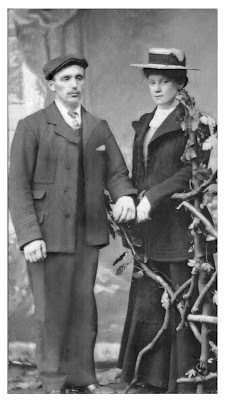 I was able to locate Elias Eliassen & Matilda Knudson marriage license dated 1884. It lists their ages as both aged 29....i'm not sure if that was completely true. Curiously, there appears to be a discrepancy in who my great great grandfathers listed father is as he is listed as Elias Davidson. Was this his step father perhaps? Matilde's father is listed as Olaf Knudson. 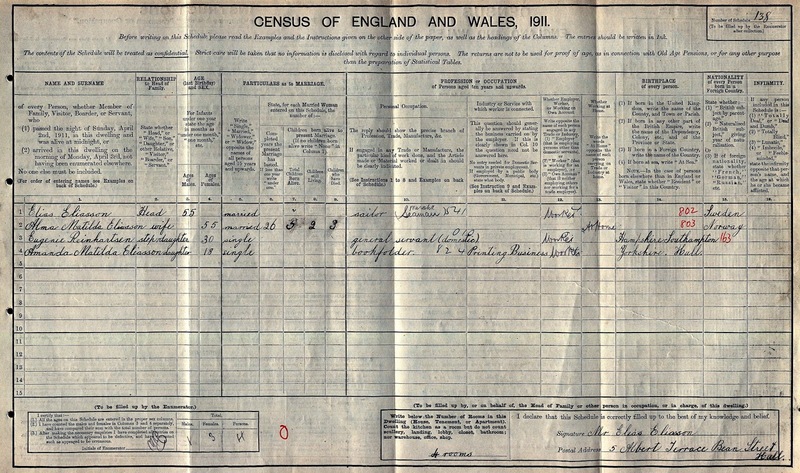 One additional record was the 1911 census and here it again states that Elias Eliassen was born in Sweden and Matilde Knudson as born in Norway. It still lists their ages as the same, this time both aged 55....so perhaps its true? Also living with them as this stage was their children my great grandmother Amanda Matilda Eliassen and her half sister Eugenie Reinhartdsen. 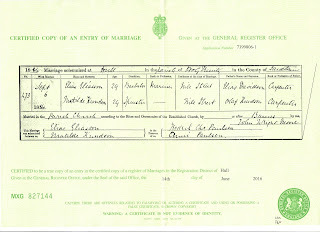 So I suspect Matilda Knudson was married previously before she married Elias. 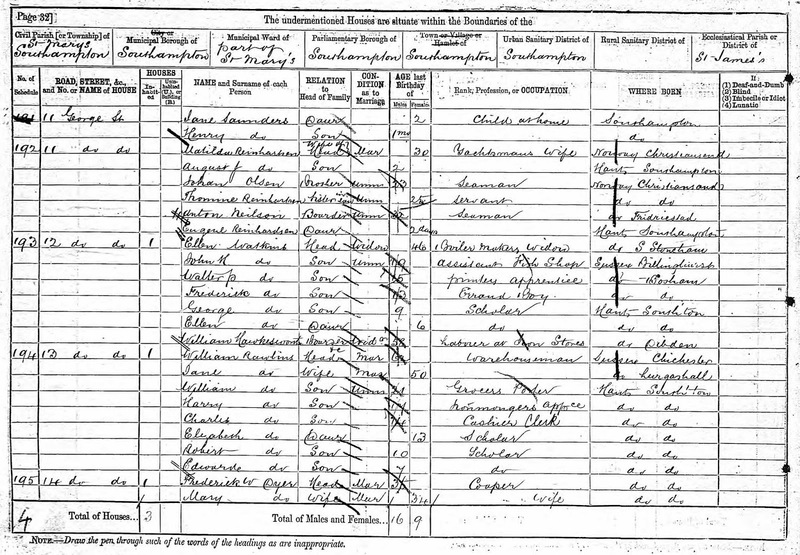 Digging a little deeper into my great great grandmother Matilde Knudson I see she does indeed turn up on the 1881 Census but living in Southhampton and married to a Mr Reinhartsen. 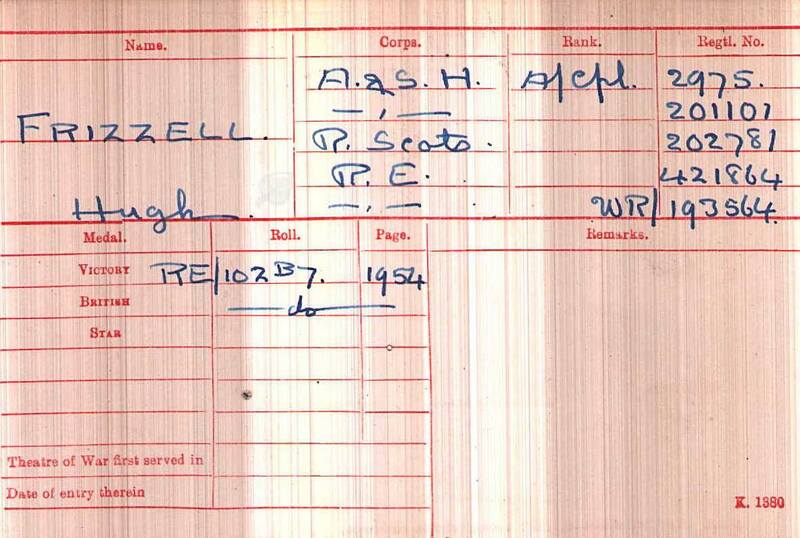 He appears to be not in the census which makes me wonder if that meant he was offshore at the time of the census? 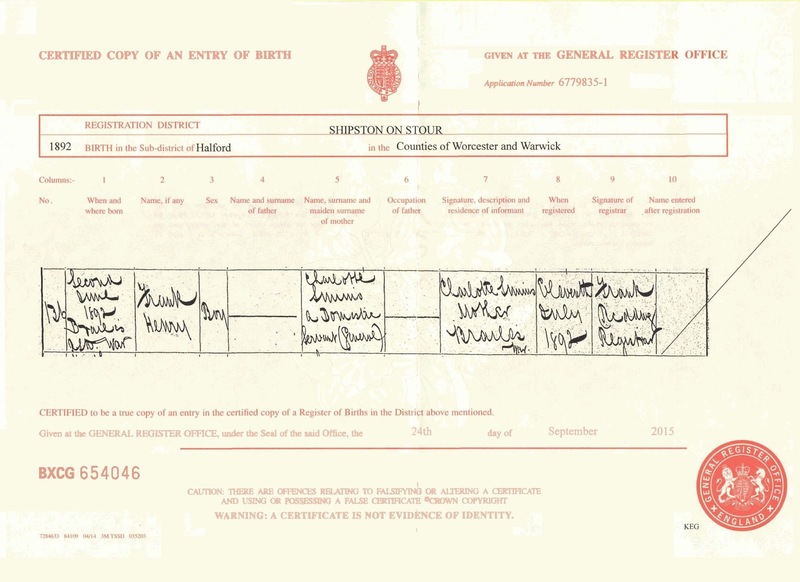 Matilde was residing at 11, George Street, Southampton St Mary, Southampton, Hampshire, England and listed as Matilda Reinhartsen Wife (Head) Married age 30 born about 1851. Occupation: Yachtsmans Wife born in Norway. From the following records I can see Matilde's son died in 1882 at the time she had moved to Hull. So definitely seeing some Scandinavian links here although struggled to find exactly when and where in Sweden Elias was born. 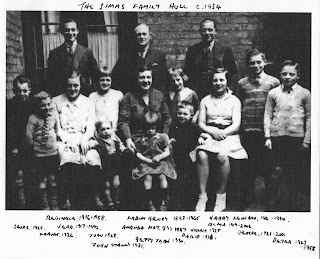 So today I was able to finally get some conclusive proof about my paternal origins and answer some questions about the Simms family of Hull. Having taken the ancestry DNA test a few weeks ago they provided some fascinating insights into understanding a bit more about my great grandparents Frank Henry Simms and Matilda Amanda Eliassen. From my DNA result I could ascertain that i am carrying the Scandinavian markers of my great grand mother Amanda Matilda Eliassen. Her parents Elias & Matilde were from Sweden & Norway and came to England in the 1850's. 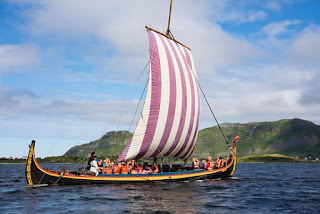 My genetic markers were actually very specific to East Norway. 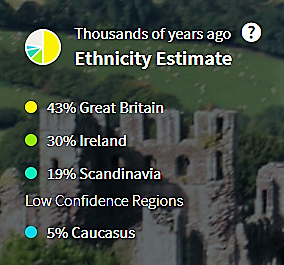 The 30% Irish is due to my mother's family being Frizzell. 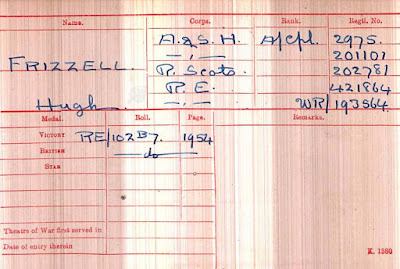 Hugh Frizzell my great grandfather as we have already established his father James Frizzell was from Ireland. 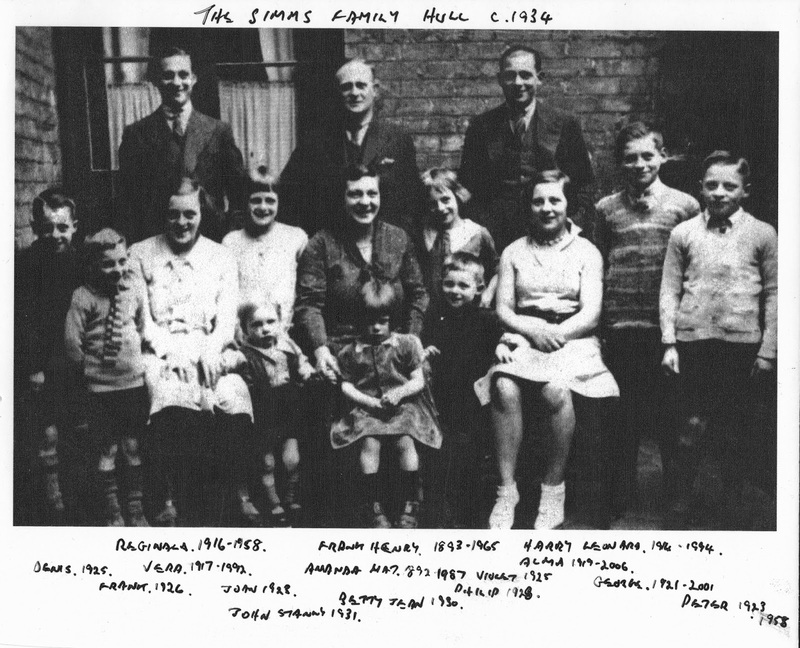 The 43% being from Great Britain is mainly the Simms & Bloxham lineage which are very old family lines. 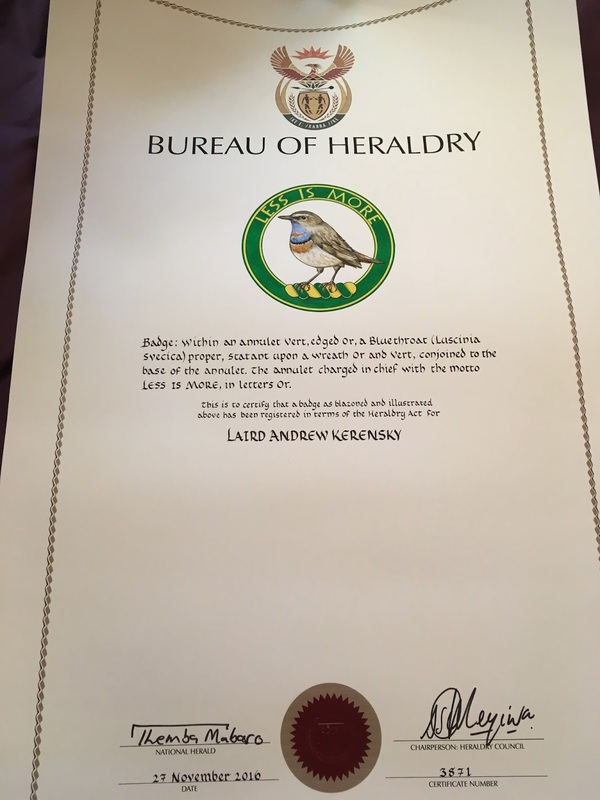 I have especially to thank cousin Mark Hunter for bringing this to light and David Bloxham for finding the genetic DNA markers which confirm the Bloxham line. So it would indeed appear that my paternal great great grandparents are indeed Charlotte Simms & Francis A Bloxham. 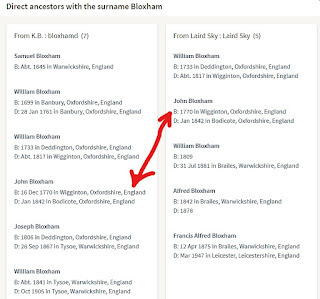 David Bloxham (distant cousin) was kind enough to throw up this DNA table which shows that although we spring from different Bloxham lines we shared the same ancestor John Bloxham 1770-1842. 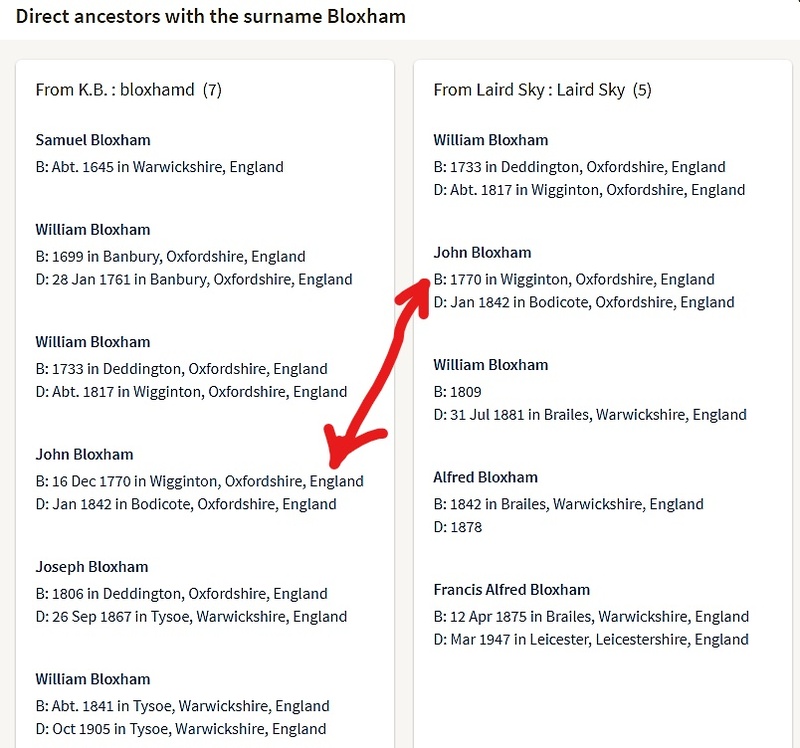 Finally nice to see how the Simms/Bloxham family fits into the full genealogical picture of my family. 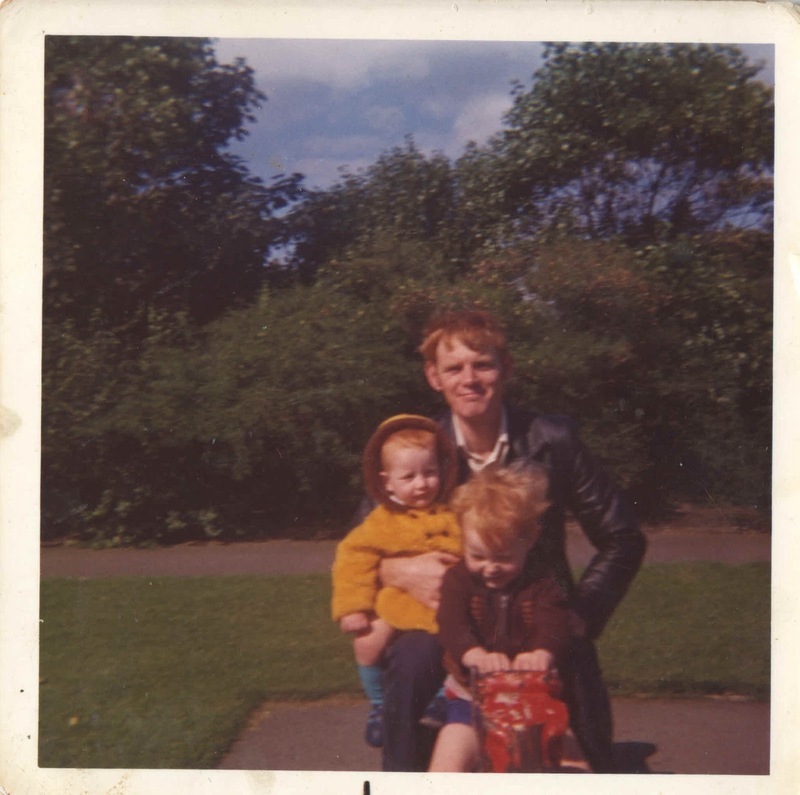 Irish, Scandinavian DNA might explain the red hair, blues eyes and obvious deep English roots. 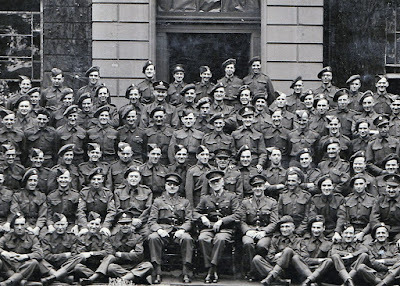 Clear the family as a whole committed themselves to the war effort during the difficult period of world war two. 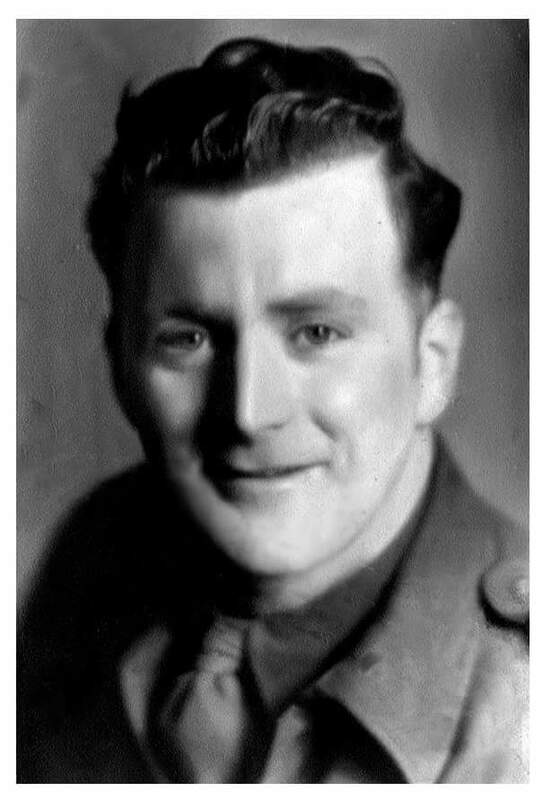 I note my grandfather who was their eldest child Harry Leonard Simms born in 1914 was working in an aircraft factory in 1945. 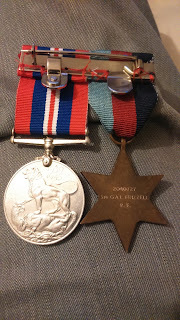 Several of his siblings were in service during the war......it would be interesting to do further research with the MoD regarding what my granduncles & Aunts did during the war. 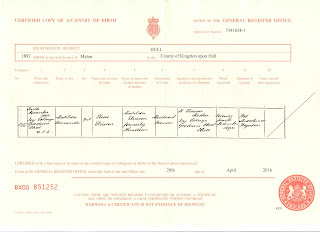 Harry Leonard Simms I note married in 1955 his common in law wife Margaret Louisa Elizabeth Stella Dye (previous marriage dissolved). 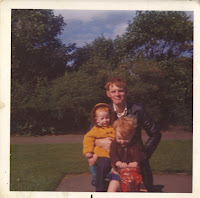 They had several children, their eldest child was my father Paul who was born in Hull in 1947 so clearly they had been together several years before they officially tied the knot. 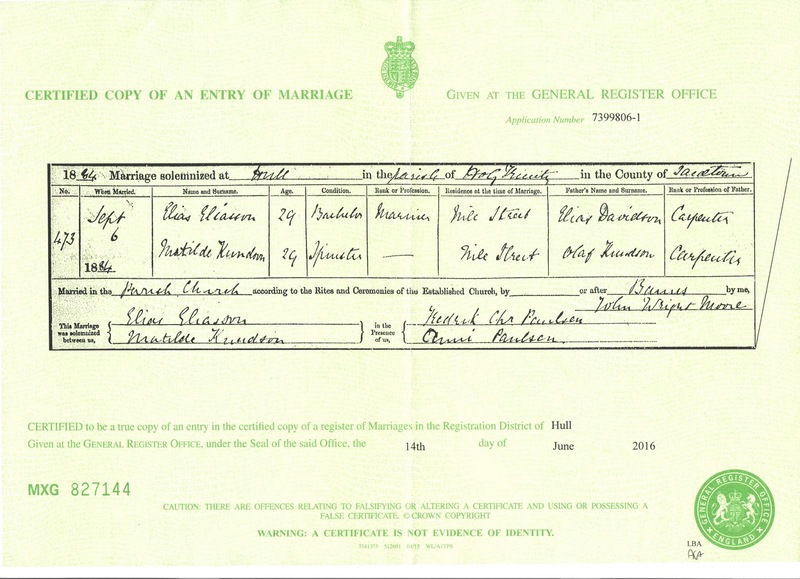 My father Paul married in 1971 to Christine Frizzell and my parents had three children in total, myself, Edward and Rosemary. Rosemary died as a baby. I'm effectively the eldest child of the eldest child of the eldest child leading back to Frank Henry Simms of Hull. Interestingly Frank Henry Simms was born in Brailes in 1892, the son of Charlotte Simms my great great grandmother. On his birth certificate there is no father listed which did mean for decades there was no way of researching our paternal lineage. Thankfully a distant cousin Mark has been able to shed some light on this closed area. 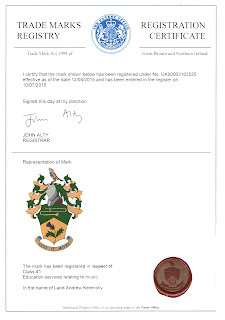 It does now appear that the father is likely Frank Bloxham and to shed some light on this i have gone ahead with a DNA test with ancestry.co.uk to discover if this is the case. 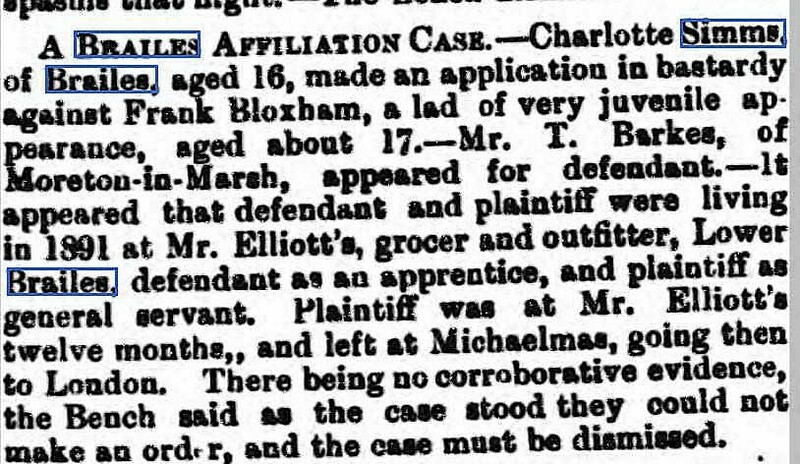 Results to be provided once they are available but as Mark has pointed out it seems very unlikely Charlotte Simms would have brought an Affiliation Case against Frank Bloxham if this was not the case. 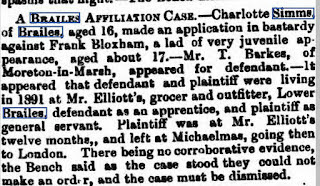 Attached is the news paper article that shows her case against Mr Frank Bloxham. What’s not to like about a big band? The big band grew out of the popular jazz music of the 1930’s & 1940’s. 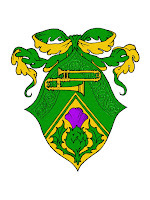 A band of around 15-20 musicians made up of brass, woodwind & rhythm section. Whilst big bands still pay homage to their traditional roots it’s not uncommon to find big bands that perform a vast array of contemporary music incorporating rock, pop, metal & world music. 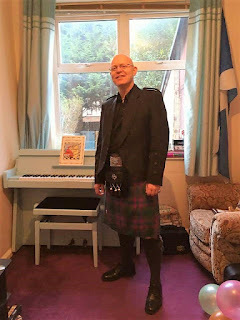 So my Big Band which I lead & created last year is a great vehicle for modern music which I reckon the public connects to. Photo above, one of our concerts in 2016 at the Orange Pip Market on Baker Street, Middlesbrough. A couple of years ago I discovered my Scottish grandfather's old leather passport in a clear out and it subsequently led to me writing a letter to the Ministry of Defence requesting if my grandfather had any military service. 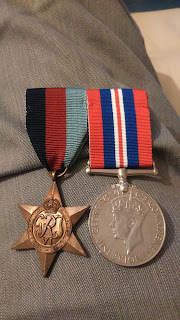 It transpires not only did my grandfather serve in WW2 but he had never got round to applying for his service medals during his lifetime which meant that as i was his next of kin the MoD were obliged to send me his service medals & service records. This came as quite a surprise to me! The medals now reside in a box frame on my office wall. I'm actually quite proud that my grandfather contributed to the war effort for nearly 10 years of his life serving in Iceland, Norway & Austria. So family tree, everyone has one. 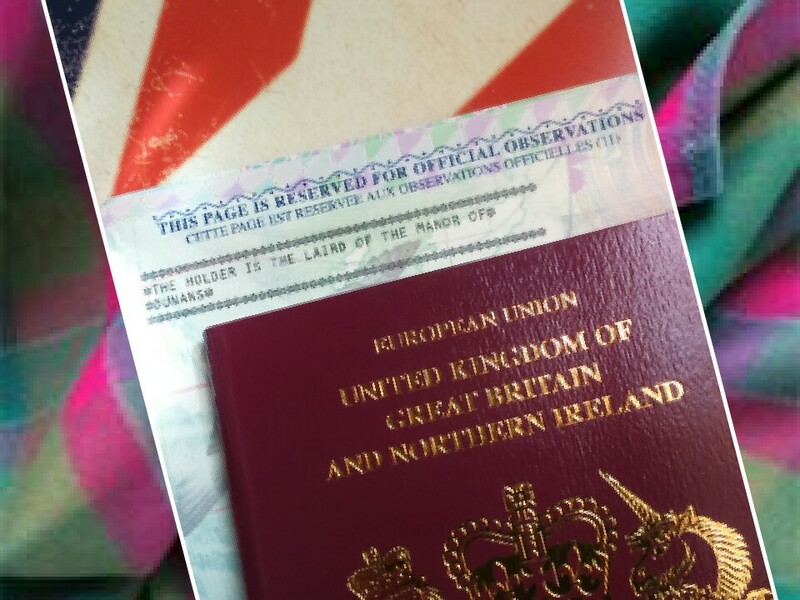 It’s curious to discover that one does indeed have Scottish roots. 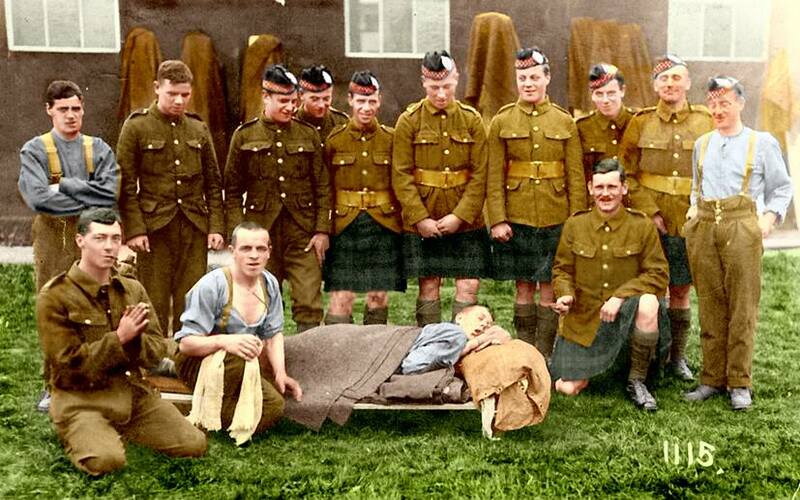 I must say I really love this photo of my Scottish great grandfather Hugh Frizzell of Greenock, who knew? I certainly did not know I had a great grandfather jumping out on the trenches fighting the Hun in the Great War 1914-18. 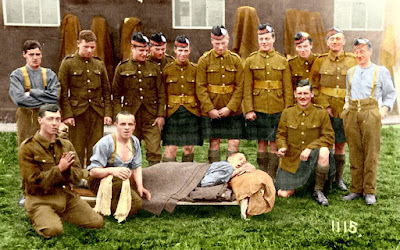 It transpires he served with the Argyll & Sutherland Highlanders as a Corporal and after being shot was sent home and eventually transferred to the Royal Engineers. Fascinating stuff! A few years ago I had the great pleasure of discovering the most wonderful pair of shoes. I’ve had a battle with shoes over the years and finding something that fits ones feet comfortably is a true joy. Enter Loake Last 641. A quality made in England pair of shoes in good quality calf leather in a G fitting. 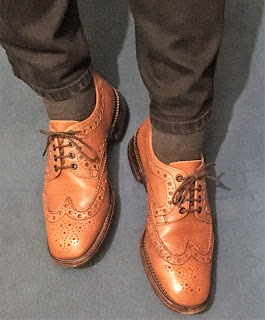 My first pair of 641’s I acquired simply by accident when I placed a bid on eBay for a pair of stout looking country brogues….to my surprise I won the auction and once upon my feet a lasting relationship was established with this shoe in the perfectly shaped 641 Last. 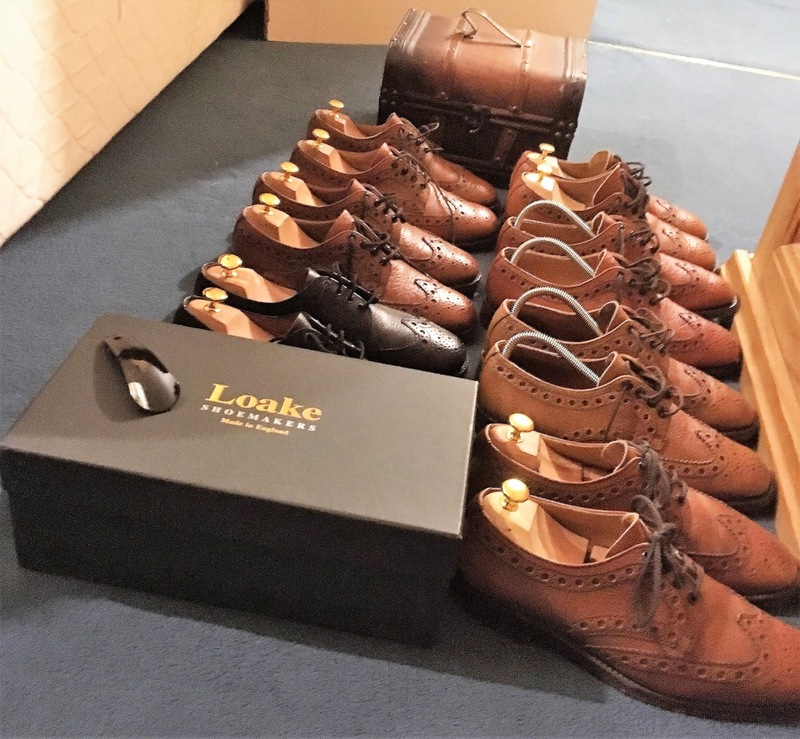 These I have now discovered to my horror have been discontinued…..apparently the marketing chaps at Loake feel there is a lack of demand for this particular shoe. Thankfully the 7 or 8 pairs I have acquired will have to service me for the rest of my life but at least Loake still service this shoe so I should be fine. 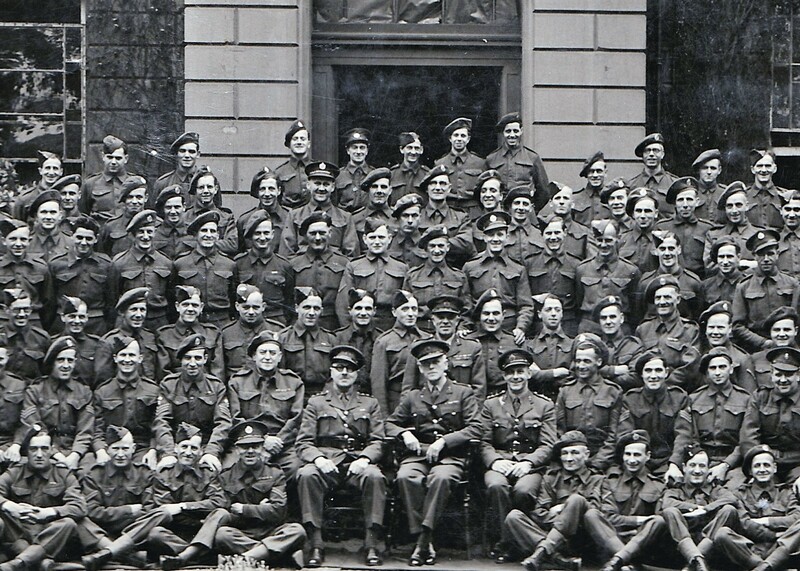 I see this blog today as the Loake 641 ‘Last’ Stand. So fare well Loake 641 you were the perfect shoe for my feet and fingers crossed the boffins at Loake see sense and reintroduce this classic Last once more for other chaps to enjoy. 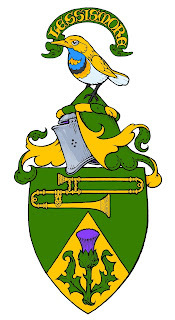 What to do with a Coat of Arms? So what on earth do you do with a coat of arms? Obviously in days of old it was placed upon a knights shield. The obvious way i suppose to wear arms these days is in the form of a personal seal in the form of a signet ring. Traditionally a signet ring is worn on the left hand smallest finger. It's a nice subtle way of bearing arms in the contemporary world. 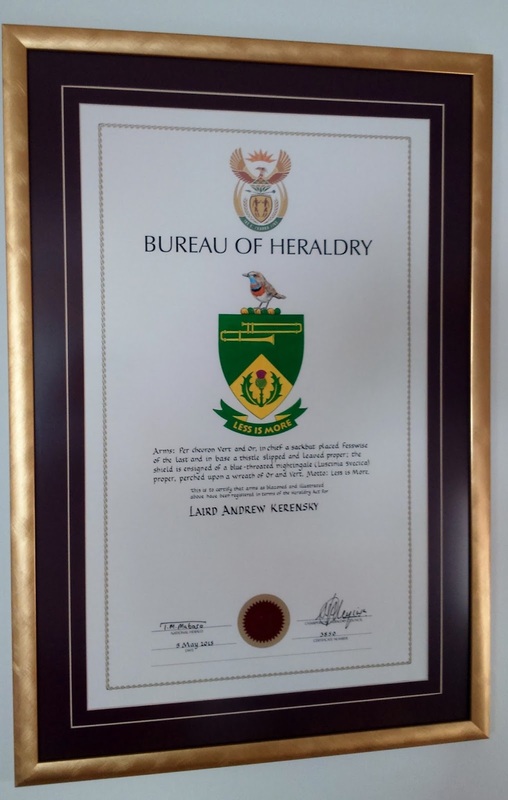 This can be expensive or modestly cheap depending upon who you have make your arms and also if you choose to go fully bespoke hand engraved or laser engraving. Metal choice, gold, silver or other metals can also be another variable to consider. 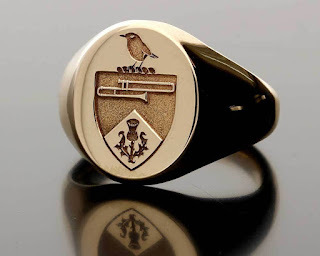 I decided to approach one of my local jewellers and asked them to melt down some old gold rings i was no longer wearing and have the gold made into a signet ring. The end result I think you will agree is is most pleasing. Following on from this ring I decided I wanted to explore titanium......a metal that is very hard and durable . 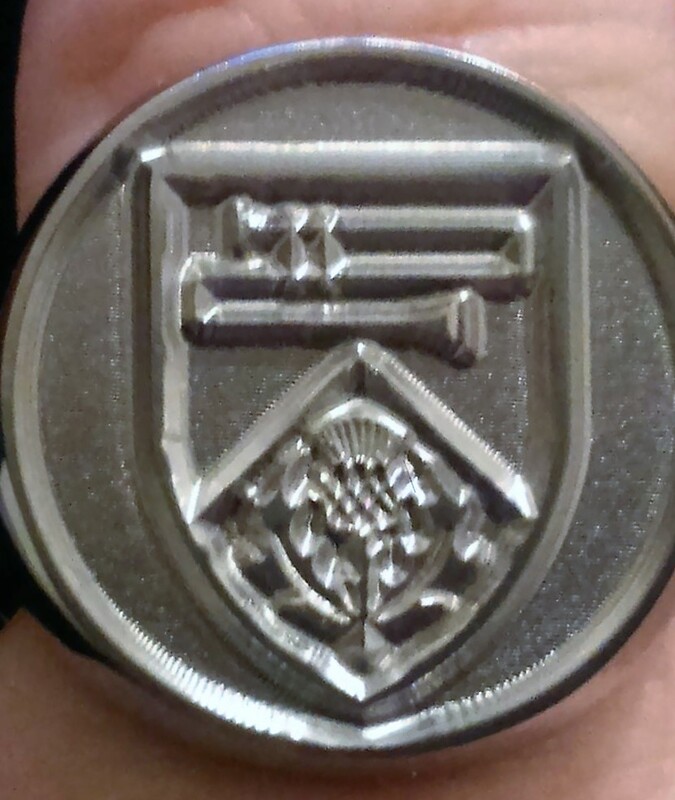 I discovered a company in Canada that makes relatively inexpensive personalised rings for around $85 Canadian. This time I decided I wanted just the shield purely to make the image larger. I think for the price the result is very fair. 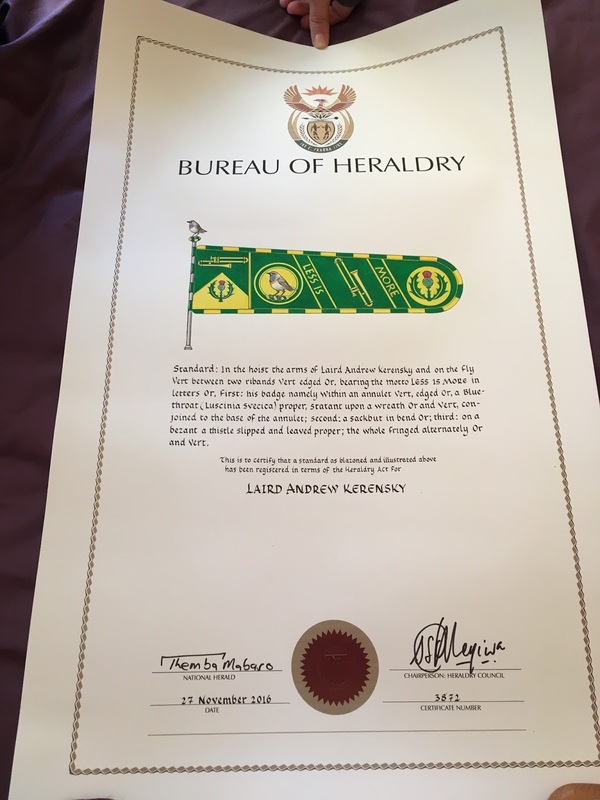 These emblazons are all by the chief heraldic artist of the Bureau of Heraldry Gavin Schlemmer Esq. 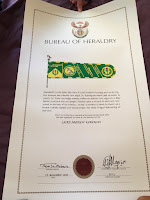 I must say I am absolutely delighted with these heraldic achievements and was pleased to see that the UK Government offer protection for my arms under the IPO department. 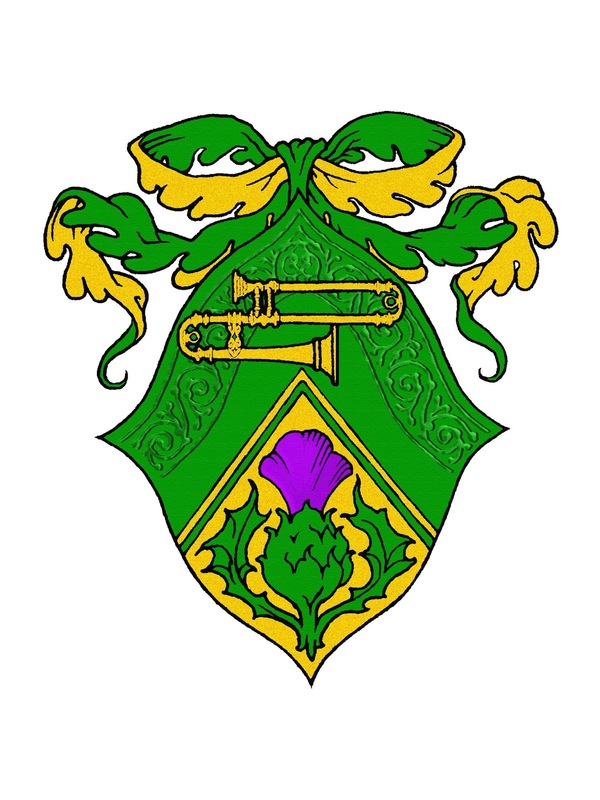 The sackbut reflects his principal instrument, the tenor trombone. 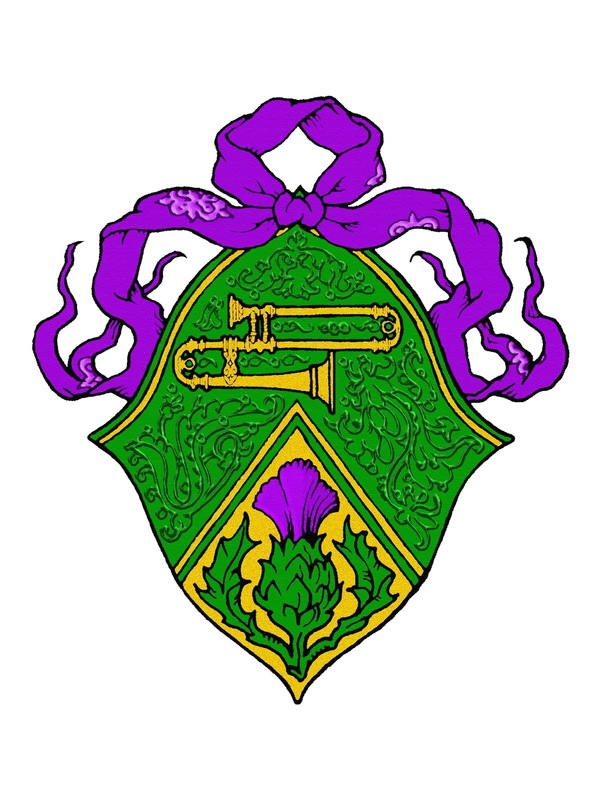 The thistle is symbolic of the armiger’s Gaelic & Scandinavian roots. Both his grandfather George and great grandfather Hugh are from Greenock, Scotland and served in the army during the first and second world wars. 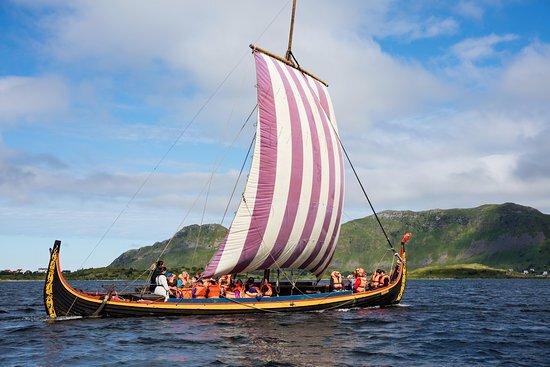 One pair of his great, great grandparents, Elias a mariner and his wife Matilde, were originally from Sweden and Norway respectively but moved to Hull, England in the 1850’s. 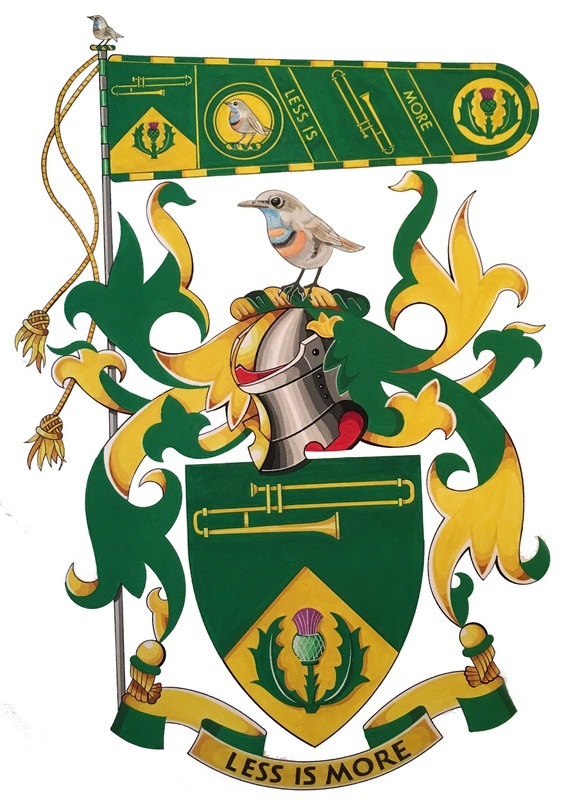 Curiously the armiger’s South African connection is supplied by his great, great grandfather John Thomas of Middlesbrough who served as a career soldier for Queen Victoria and King Edward in South Africa during the Boer War and received the QSA & KSA campaign medals.The Crest, the male Bluethroat has a varied and imitative song; a pun on the armiger’s profession.The Motto, Less is More, reflects the armiger’s interest in minimalism. 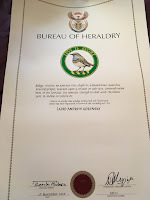 Professor Michael Medvedev, Member of the Heraldry Council to the President of Russia.